You may have seen them in catalogs, or displayed on shop windows, on the back of business cards or perhaps you have seen those black and white squares packed with strange black and white shapes on the menu outside a restaurant. But what on Earth are they? Well, those little patterns are called QR (Quick Response) codes and they contain encoded information that can be read by an application on a smartphone. The appearance of QR codes has been pretty sudden (you probably didn’t notice any at all six months ago) and so many people are still unsure what they do, or how they work. So below we try to answer some of the questions that you may have about QR codes and in doing so, hopefully give you a better idea of how they may be able to work for you. Q. So we know that QR codes contain information that can be scanned by a smartphone, but what does that mean exactly? A. Let’s start at the beginning. QR codes have actually been around for years. They were developed in Japan by a subsidiary of Toyota, primarily as a method of quickly and easily tracking motor parts. 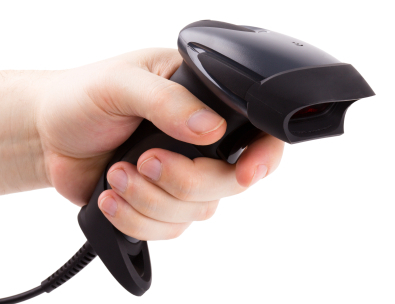 They work in a similar way to a bar code, but because they can be decoded by a smartphone application rather than requiring a specific scanner as with barcodes, they are available to be read by everyone, anywhere and at any time. The technology already exists; the user just needs to open up the QR reader application on the smartphone align the QR code in the center of the screen using the camera, and the code will be automatically scanned. The minimum recommended size for a QR code is approx 35mm x 35mm; anything smaller and the phone may have trouble scanning it successfully. There is no real maximum size; it will just require the person reading the code to stand further away in order to fit the code into the phone camera screen. The QR code itself can contain up to 7000 characters of text, however that is only the beginning of how these codes can be used. They can automatically dial a phone number, send the reader to a social media profile, download a map showing business location details, display images, even play a video. It enables the reader to immediately and simply access further information about a business. No need to remember a phone number or type in a complicated website address. A QR code is a clear call to action for all smartphone users, and the speed and ease with which these codes can be scanned means that the call to action is more likely to be acted upon. Q. Right. I can see the use they may have for businesses selling B2C, but can they also be useful to businesses selling B2B? A. It’s true, QR codes are largely being used by B2C businesses at the moment, but B2B businesses are awakening to their potential. If you’re selling products or services either to individuals or businesses, the immediacy of the QR code will still appeal to your customers. They can drive visitors to your website to request an information pack, run a video in which you demonstrate your products or services, or download a special QR reader voucher. Put one on your advert so the reader can access your brochure online or find out more about the special offer in your advert. And think of the space you can save on those printed communications. Q. Would you say that QR codes are actually appropriate for all businesses? A. It all depends upon your audience and who you are you trying to reach. As we know, QR codes can only be read by a smartphone. Are your potential customers likely to own smartphones? And also, as the use of QR codes is still relatively new, the people accessing them are likely to have a certain amount of high-tech knowledge. Does this sound like the customers that you are trying to attract? If so, then go for it. Including a QR code on your sales letter demonstrates you are at the forefront of current technology. But if you are not sure that your target audience are likely to use the QR code it may be worth simply keeping an eye on things for the time being. Why not ask them in your next survey? And remember that not everyone you will want to reach will have a smartphone, so if you do use QR codes treat them as an addition to your sales message, not as a replacement. Q. If I have a QR code printed on my business card that takes the reader to my Facebook page, but I subsequently stop using Facebook and instead want to take the reader to a LinkedIn page, will I need to create a new QR code and re-print all my business cards? A. Although each QR code is unique and will last forever, it does not mean that the information it points to needs to last forever. It’s possible for any changes to this information to be made at the back end without the QR code itself needing to be changed. Your business cards will remain valid; the QR code will now point to your LinkedIn page rather than your Facebook page. However do check that you know how to do this before getting those QR coded business cards printed. Some websites offer this facility whereas others do not. Q. How can I get started with a QR code? A. There are a number of free websites that will enable you to create your own codes, a couple of the most popular being scan.me and qrcode.kaywa.com.